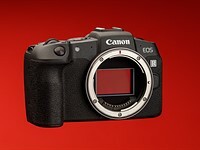 The GX1 and E-P3, and even the GH2 have recently started sliding in price because the E-M5 is out. I suspect even the D3200 was priced low as a result of this new mirrorless trend. You can resist and you can slow down the change, but it is inevitable that APS-C DSLRs will become niche. Just think why we are still using the Stone Age technology in these flipping mirror clunkers. Olympus 43 is as good as dead. Even if you get a new model again, what good is a new expensive camera every 3 years when technology is so fast. The E-5 was old even at release time. So was the K-5, except for one Sony sensor. Sure, there are very nice lenses for these systems, but no future. Is Pentax going the same way as 43, that is up to you to decide and it is your money you are investing in a system.